Life is meant to be lived with adventure and over the past few years falling in love with trail running, this is exactly how I see running continuing for me now and into the future…like one big adventure. I love to showcase these adventures with RMA as I want you to also be inspired to live your life and follow your running journey with a sense of adventure. Adventures build your character, they frame the way you think and interact with the environment and others, and they bring freedom. I was invited to New Zealand late last year to the second year of Ring of Fire, and it took me almost no time to say yes. The idea of running around such a unique environment as a volcano had me excited and ready for adventure. I knew however that I didn’t want to do this alone. 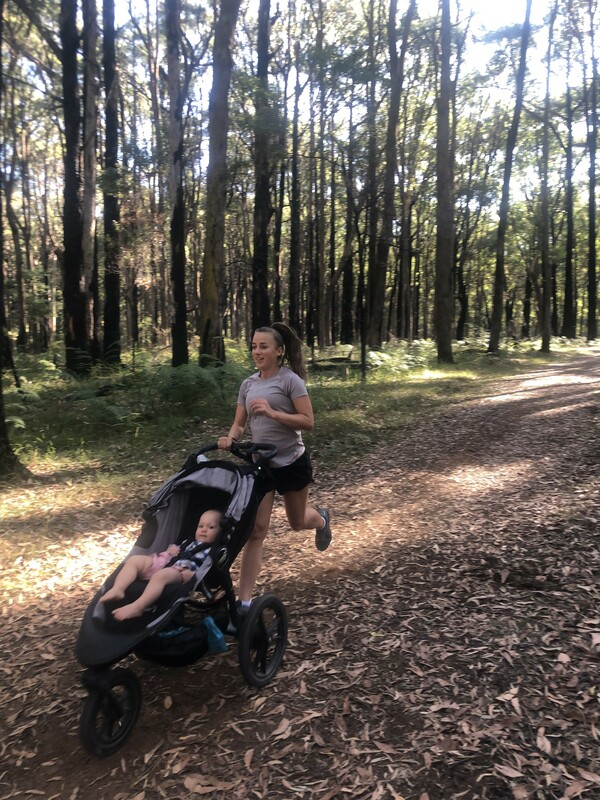 Thanks to the race and wiith the help of our supporters, fisiocrem Australia I was able to bring along some of our volunteer admins, Laura and Mel to share in this experience. I wanted to showcase how running as a team was another option at events and hightligh the fun that encompasses that experience. Both girls agreed without hesitation and training commenced in early January. We all had our fair share of ups and downs during training, and without seeing the landscape it was a little hard to envisage what was to come, but with the help of the website and course descriptions and talking to some of those in the know we all had a rough idea of what to expect from each of our legs. I was to run the first leg – the Goat, which is 24km of extremely technical, and in parts extremely steep terrain, only marked by alpine markers and mostly in the dark. I was starting at 4am and the sun wasn’t to come up until almost 7, so that was going to be unique right away. This leg was going to be more scrambling and hiking, and require some strength with a little less running than I was used to, but I was up for the challenge. Laura was running leg 2 – which was more runnable, but a mix of scrambling, forest trails, swing bridges and big climbs and descents. Her leg was also 26km and in the heat, or cool of the middle of the day and quite isolated from anything else. Mel’s leg – the final leg was to start off like being on planet mars, a sparse landscape, but didn’t have as much elevation as the previous two legs and had a nice trails that ran downhill toward the finish at the Chateau. This leg may be completed towards nightfall, depending on our time, so seeing the sunset was going to be a bonus. 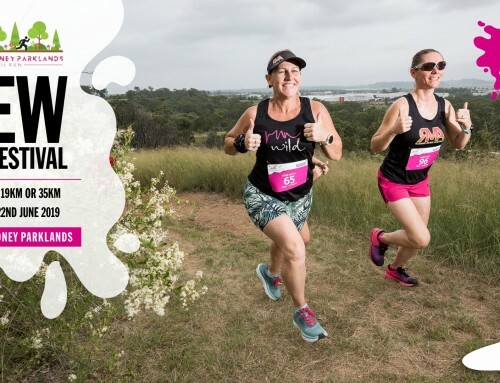 The Ring of Fire Ultra Marathon race takes place in one of the most treasured landscapes on earth. Tongariro is New Zealand’s oldest national park, in the North Island of New Zealand, and recognised a dual UNESCO World Heritage area for its cultural and natural values. Especially sacred to the local Maori people, it also has significant conservation and recreational value to the people of New Zealand. After flying over to Auckland on the Thursday afternoon it was an almost 7 hour drive to our accommodation due to some traffic in the city. We arrived late into the night to our house which was set just outside Tongrariro National Park where the event was to be held. Exhausted from our journey we were straight to bed ready for the adventures ahead. The next day we headed to the Marae, a traditional welcome ceremony held by the local Maiori people to welcome everyone to the area and bless the proceedings of the race. It was a really special experience and something that we were grateful to be part of. The culture of the area and the respect for the landscape was evident and we felt really lucky to be given a chance to run there on such sacred soil around the volcano within the Tongrario national park. After collecting our bibs and having our mandatory gear checked and wandering around the thrill of the race precinct we headed back to our accommodation to get everything packed and ready for the next day and then back into Chateau Tongrario for the race briefing and some dinner. There was the usual pre-race buzz. We got to meet others that were racing, including some of our friends from Australia and also meet lovely runners like Lucy Bartholomew who was running the ultra event. Then it was home for an early night as we had a 2am wake up call to eat and drive into the start-line. 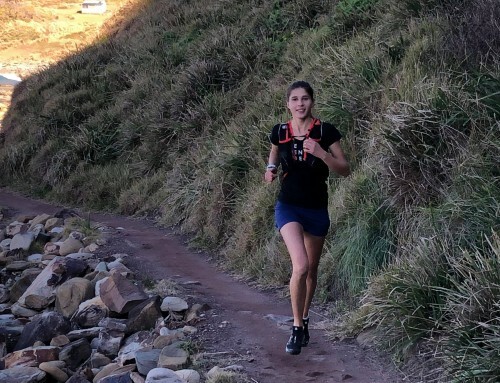 The race: Nicole – Leg 1. It was dark and surprisingly a beautiful temperature when we arrived at the Chateau. Excitement was in the air and the runners were anxious and ready to go. I met up with my friend Juliana who was running the 73km ultra event, and after some photos with my team we were ready to go. We ran out from the front of the hotel on to the road and up the hill in one large pack and turned right into a dirt single trail. It was pitch black and only the light from our head-torches lit the way. I felt strong and peaceful and fell into a good pace along the forest trail weaving in and out of roots and rocks and up and down stairs and across the first bridge. I got chatting to the runners around me and felt really comfortable. A guy in front of me was also from Australia who had come over with a group of friends to run the event. After a while the course opened out into the alpine plains and it was time to focus. The terrain changed to seriously challenging and extremely technical underfoot. It was muddy and slippery in sections interdispersed with rocks, roots and tussocks and was up and down and up and down, across river crossings, up the side of mountains, using your hands to climb in some sections and maintain your balance. I think I lost count how many times I fell over. I laughed loud though as it was really quite hilarious that we were doing this in the pitch black of night in the early hours on such terrain. My headtorch that has been so trusty was simply not enough for the depth I needed to see on the trail where I was going, and lucky we needed to have a small back up light, which came in handy as I held it at my waist to light the way until light came. This helped bring more light to make me feel more confident in my footing. The markers we were following were supposed to light up, however many of them didn’t. A few times I was running with no one directly in front of me, and only a way behind, so a few times I almost ran off course and had to stop and wait for others to find my way, or wait to see a flicker of someone’s head-torch in the distance to know which way to go. The course climbed some of the most technical and challenging terrain I have ever been on. All the while I was so grateful for the experience and I felt so strong and really in control while running. Every now and then we would get a little bit of runnable section only to be greeted with more scrambling up the side of a mountain holding onto whatever we could to climb up. My aussie friends were around me and we would justle for position and then lose each other and then be by each other’s side again, each of us stronger than others in certain sections. It was nice to experience parts together and to chat about what we were experiencing. At one point as the light was just rising a man came running past me so effortlessly with absolutely no head-torch. I still had both my lights going and he was running along with no light, just using the moonlight which was high in the clear dark night sky. I stopped and looked up a few times, the starry night sky with the moon, and I couldn’t believe I was getting to run here, with the vast heavens opened up above me. It was truly breathtaking. As we climbed our way up the side of the mountain, the sun began to rise. When we reached a peak, we were greeted with a spectacular sunrise. We stopped and took it in for a bit and took some photos. I didn’t want to forget that moment staring out into the distance with the valley below. We pushed on, up and down the mountain, much easier to navigate now with the sun getting higher in the sky, and light finally at our feet. It was much easier to know where to put your feet now and really try to push yourself through what was ahead. Boardwalks, rocks, scrambles, forest, climbs, descents and then the most amazing ascent…..a waterfall to climb! I couldn’t believe it when I first saw it. I had never scaled a waterfall before and this was going to be an unforgettable experience. I put away whatever fear I had and just started to climb using my hands and feet wherever I could. At times I felt a little vunerable, but this feeling was overshadowed by complete joy and amazement of what I was experiencing. When I saw the first photographer I put my hands in the air to get the perfect shot. Further up we needed to cross, straight over the water rushing away to the bottom. It was exhilarating! And then we continued our climb up the side of the falls and joining the rest of the trail on top of the ridge. It was just after here that I caught up with my friend Jules again and we ran the last part of our leg together. As we came down the road towards the checkpoint we were running at speed, and I felt simply amazing even though we had been on our leg for over 5 hours! That was up there with the toughest 24km I have ever run! I called out to my team, ready to tag Laura who was off for leg two and I had a smile ear to ear. I was happy to be stopping, but secretly wishing to keep going as I felt so amazing, but it wasn’t to be this year and Laura was off and running to continue the journey for the RMA team. Having gotten up early to see Nicole off, then later going back to our accommodation to nap, grab some breakfast and then drive out to the first changeover point, it felt like it should be midday and yet as I stood there waiting to begin my leg of the race, the sun was still only just beginning to shine over Mount Ruapehu. The moment Mel and I drove up the mountain towards where I would begin running, the butterflies kicked in. Suddenly I was faced with a snow capped mountain and its magnificence hypnotised me. Before I knew it I could see Nicole and our friend Jules hurtling themselves down the mountain towards us. After much cheering, a quick hug with Nicole (where I may or may not have questioned what on Earth I had gotten myself into), I was off. The first 2.5km were downhill on road. I tried to take it easy as we’d been warned not to smash our legs on this part given the terrain we were about to face. Suddenly I was directed by some volunteers off to the left and onto the trail. Initially the trail started out as some reasonably gentle ups and downs in quite possibly the most beautiful forest. I became so excited when I came face-to-face with my first ever swing bridge crossing. Admittedly I was also a little fearful of falling to my gruesome and early death. Thankfully this did not happen, and I safely and proudly got to the other side unscathed. For the next several kilometres I happily ran and hiked my way through forest on some beautiful trails, boardwalks, stairs, rocky patches and more swing bridges. There were some small river crossings and knowing how much of my leg I still had to go I was careful to keep my feet dry. Once I got maybe 10km into my leg of the race, I began to encounter more frequent patches of desert-like terrain and far more steep and rocky ascents and descents, with pops of forest here and there. But before I knew it I was in official desert territory, just following the poles marking the trail and other runners around me to find my way. By this stage it was getting quite hot and I felt like I was in the middle of nowhere. Whilst I had filled up one of my flasks at a hut, I was soon close to dry without a stream in sight to refill. Due to the heat, and having not hydrated as I normally would in the days leading up to a race due to travelling, I was drinking far more than I anticipated. Thankfully by this stage I had found one of my running friends, Troy, to keep me company and he told me I could share some of the fluids he had left. I also happened to chat to a hiker who also gave me some water. Over the coming kilometres I faced some of the toughest terrain and climbs I had ever encountered. There was a lot of hiking in this section as for your average trail runner, and even possibly the more elite runners, this terrain was just not runnable. I started to feel a little fatigued so quickly downed a muesli bar, some gel, and a Revvies. This all helped quite a bit. However my real saving Grace was the final hut approximately 5km from the end of the leg. I refilled my flasks and skulled a flask of water. Suddenly I felt alive and strong again. From here on out the terrain became slightly more runnable, however still very steep and tough. At one stage I thought I was running on black sand, however I later found out this was ash. I also noticed some warning signs in regards to the dangers of the area being a lahar path (volcanic mudflow) advising people to move quickly through the area! That certainly got me moving and racing across my final swing bridge (not before ample photos were taken of course!). Before long I could see people standing on a ridge of the mountain and a bus driving up and back. I knew this meant I was getting close to the end of my 26km leg of the race, and after being on my feet for 6.5 hours already, I couldn’t wait to tag with Mel and sit with Nic! I quickly hugged Mel and proceeded to skull a flask of Coke at the aid station (it had never tasted better). I quickly made sure our friend Troy was ok, fuelled by Coke and good to move on to complete the race (he was doing the full ultra). Nic and I made our way to the comfort of the bus, and eventually back to our accommodation to shower and get ready to meet Mel at the finish line in all our masquerade ball glory. After seeing Nicole off at the beginning of the event and then cheering Laura off on the change over for Leg 2, Nicole and I ate hot chips (it’s carb loading :)) as we drove to my start. The landscape changed considerably and we sat in the back of the car looking out at the volcano that Laura was traversing, it was an awesome sight. We then took a short but hairraising bus trip up the side of a hill to the checkpoint where I would take off from. The landscape looked like the surface of the moon, it became windy and the weather started to change. Nicole and I tried keeping ourselves warm bunkering down in another bus that was set up specifically for waiting. Then we saw Laura come over the rise of the final hill, I was so excited to give her a hug and set off on my own adventure. I set off down the rocky and sandy single track. Watching the clouds come in over Mt Ngauruhoe (the mountain depicted as Mt Doom in the Lord of the Rings film trilogy). The terrain for the first 10kms a mix of sand, rock and tussocks, which honestly felt like running on another planet. I suffered some tummy troubles but tried to keep my pace up as much as I could as I knew there was a good chance that I would be able to see the sunset toward the end of my leg. For the most part I felt as though I was in this place alone, I came across a few of the 72km runners, praising them for their amazing achievements and passing on some words of encouragement as I ran past. Every few kilometres I would also come across one of the amazing volunteers, some dressed as trail fairies and all wonderfully encouraging. As I made it to the halfway point the rain fell ever so lightly and the landscape change to more reminiscent of alpine country. Beautiful clear streams, heather, wild flowers and formed paths weaving between Mt Ngauruhoe on my right and Mt Ruapehu to the left, it was magical. The second half of the run took me up onto the Tama saddle overlooking the valley I would descend into and the chateau in the distance. The view from the saddle was incredible. I arrived at the most perfect time of day. The sky changed colour before me and my heart was soaring as I started to open up on the downhills to the finish line. It was so spectacular that I just had to share it with someone, I video called my husband and children, they were so excited to see where I was and cheered me along as I ran. 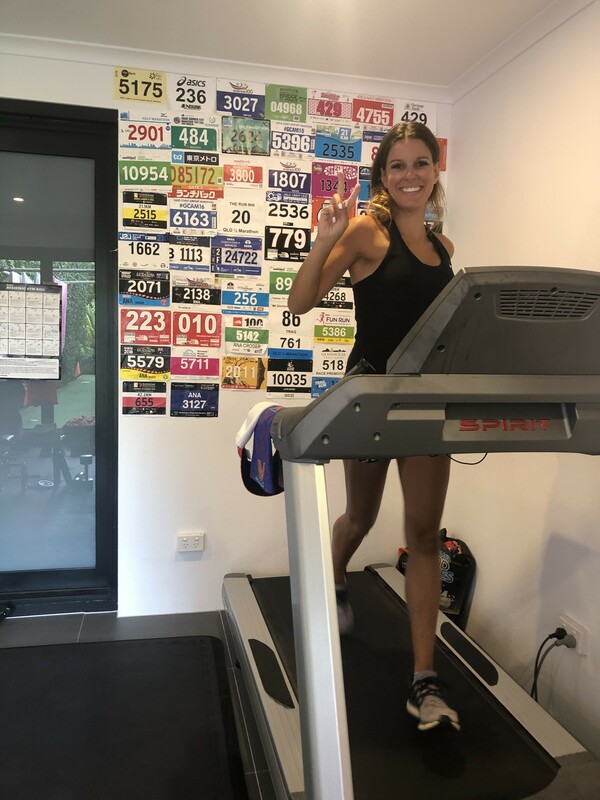 I then called my beautiful running friends at home in Canberra, who had gathered for a Ring of Fire party in my honour to track our progress and send words of encouragement, there were a lot of squeals of excitement and a few tears from me. Then I called my teammates, they just had to see this view, again we excitedly oohed and aahed and then I told them I would see them at the finish line soon. I finally put my phone away (after a million photos) and made my way as quickly as I could to the finish line. The path winds through the Whakapapa Village and down to the Chateau. As I came out of the bushes there was the finish chute and my teammates (beautifully dressed for the masquerade ball that follows). We ran along the red carpet together, into the Chateau and over the finish line as a team, it was pretty incredible. This event moved me and reinstated why my heart belongs in the mountains. The cultural meaning of being part of the mountains was echoed through the weekend and as was said at the Marae at the welcome to the event “I took a piece of the mountains with me and left a piece of myself behind”.